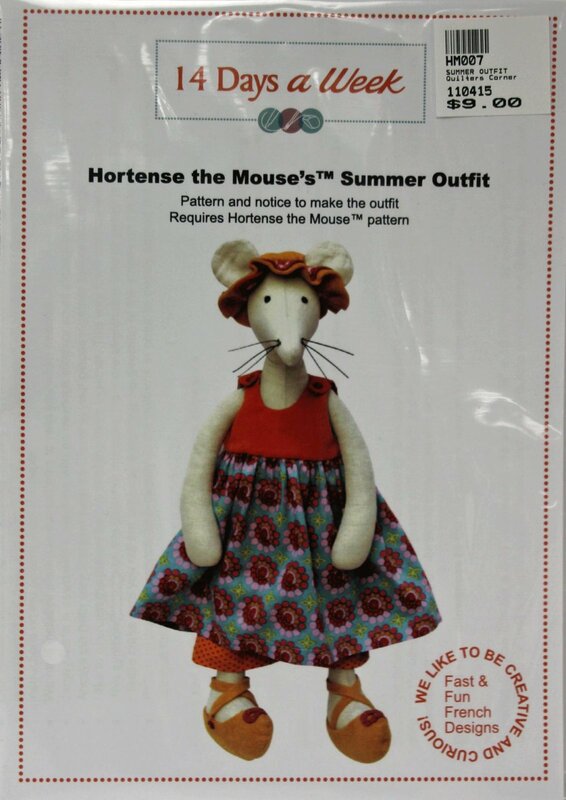 Use this pattern from 14 Days a Week to make a sweet summer outfit for an adorable, snuggly mouse named Hortense. Additional patterns are available to make a wardrobe suitable for a well-dressed mouse for every occasion. Pattern to make Hortense the Mouse herself is not included but is available separately.